Kapil Sharma was last seen in Firangi and though the film didn't do well, Kapil managed to keep the show running. Currently, Kapil is going through a rough phase and had even gotten into a tiff with a journalist over a phone call. 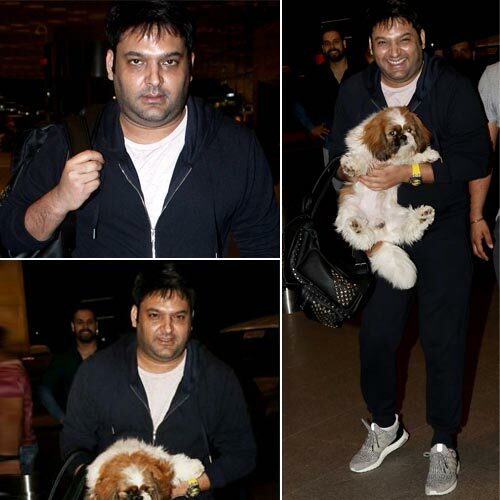 He has been missing from the public eye for quite a while now, but yesterday, Kapil was spotted at the airport. A few months ago, the actor-comedian made headlines because of his abusive Twitter rant. He had also filed a case against his ex-managers - Preeti and Neeti Simoes and a journalist. Post this incident, he had vanished from the public view. It was just a few days ago that he had a chat with fans on Twitter and gave his health updates. The fans were surprised and happy with his return.